For the best diesel repair services in Salt Lake City, trust RUSH Diesel & Automotive. Our expert technicians deliver the highest quality repairs in the industry, for cars, light-duty trucks and commercial vehicles. We are proud to be a member of the local community and we work hard every day to provide the exceptional service we’re known for. We provide a full range of diesel diagnostic, repair and preventive maintenance services. Our commitment to customer satisfaction and fair, transparent pricing will keep your vehicle running well and keep you coming back for all your diesel maintenance and repair needs. 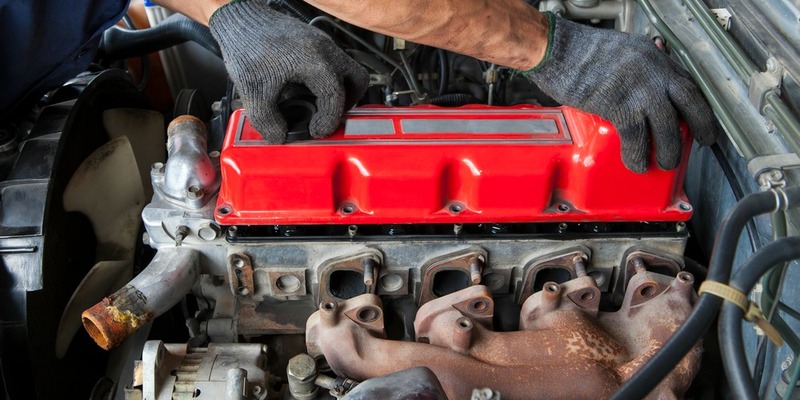 Our team can handle every type of diesel repair, from replacing a fuse to overhauling an engine. As true diesel specialists, we take care of your personal or commercial vehicle from bumper to bumper. Steering and suspension, brake systems, exhaust and fuel systems, cooling systems, electrical and air conditioning are all part of our expertise. We not only identify and repair the problem with your vehicle, but we take our work further, identifying the cause of the problem and addressing it as the source. We use parts and components that meet or exceed the original manufacturer’s specifications, so you have the peace-of-mind that comes with knowing the job was done right the first time. To ensure we’re providing the repairs you need, RUSH Diesel & Automotive uses state-of-the-art diagnostic equipment to troubleshoot your vehicle. This helps us identify the problem, but it also helps us identify any potential issues that may be developing with your vehicle. This proactive approach helps you avoid unexpected mechanical failures and allows you to plan – and budget – for the future. Our preventive maintenance services are the best way to keep your vehicle running efficiently, preventing future problems and protecting your investment. Whether you need an oil and filter change, transmission service, tune-up, EGR system cleaning or other maintenance services, we get you in and out, so you can get back to your day. The RUSH team has the training, experience and commitment you deserve for all your diesel repair needs. Our technicians are trained to troubleshoot your vehicle’s problems and handle the repairs safely and professionally. We stock a full line of high-quality parts and components, so we can get you back on the road as quickly as possible. We are Salt Lake City’s diesel-powered vehicle experts. We have earned an exceptional reputation thanks to our high-quality work, but also because we treat our customers’ vehicles as though they were our own. Contact RUSH Diesel & Automotive today to learn more about us, or to schedule your maintenance or repair service with Salt Lake City’s diesel repair experts.